Your character wears armour pieces on chest, shoulders, head, hands, legs and feet. These armour pieces have values such as might, agility and will (“stats”), that you need to perform your skills more efficiently. When you open up your Character panel, you will see your character wearing those armour pieces. It is possible to cover up the armour that you have equipped with something different by equipping an outfit in the Outfit panel. Outfits are either cosmetic pieces or regular armour pieces. What is an Outfit Panel? The cosmetic system works with a separate panel where you can equip your cosmetic items. There is a tab named “equipment”, where you see your character and equip your real armour. Next to this tab there is one called “cosmetic outfits”. This is the one where you put your cosmetics. You can also access it by pressing the C-key. 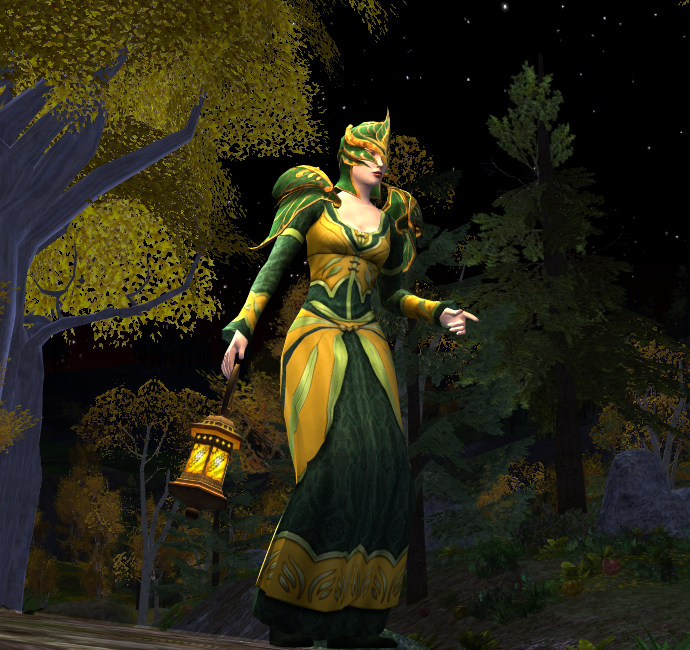 By default you have 2 Outfit Panels and you can purchase 6 more in the Lotro store. Purchasing extra panels is account wide, so all your characters can use them. How do I equip cosmetics? To equip an item cosmetically, you drag that item (from the Shared Wardrobe at the vault, or from your Inventory Bags) into the corresponding slot of one of your Outfit Panels. There is a large button at the bottom of the panel that you need to click to activate the outfit. If you cannot equip an item cosmetically (because you are not the right class or level) you can use the Wardrobe to lift this restriction.